“The Underscore is a long-form dance improvisation structure developed by Nancy Stark Smith. It has been evolving since 1990 and is practiced all over the globe. 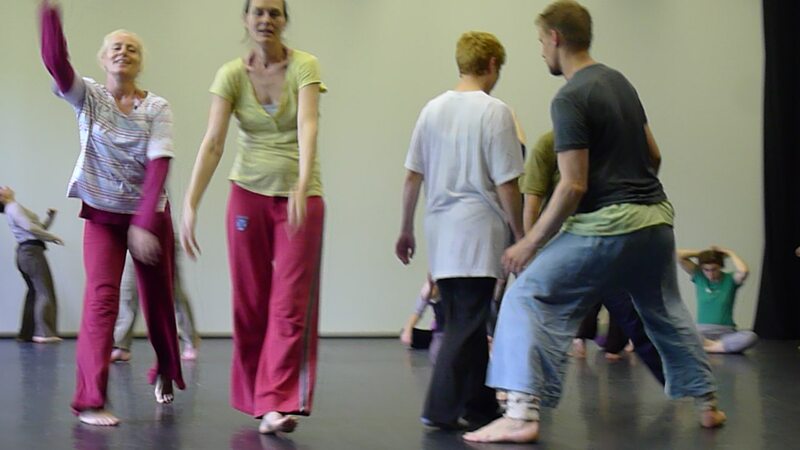 The form includes contact improvisation and allows for a full spectrum of energetic and physical expressions, embodying a range of forms and changing states. Its practice is familiar yet unpredictable. Juliet Shelley was introduced to the Underscore by Nancy Stark Smith in January 2000 at a three week dance intensive at Earthdance, in Massachusetts, the USA. She has taught and danced the Underscore in New Zealand, the UK and Australia. In June 2012 she was a participant in the Extended Underscore Workgroup – eight days of intensive practice, discussion and research into the Underscore at Roehampton University.